There has been a lot of controversy around Rip Trippers recent video promoting a new product that can help with some of the minimal side effects that come with vaping. We all know that vaping can cause some minor side effects such as dehydration, which leads to some other issues, such as what Rip Trippers mentioned in his video about his hands cramping. Many different things we intake in our daily lives can cause minor side effects, but they don’t get scrutinized like vaping, due to vaping being the big talk now days. 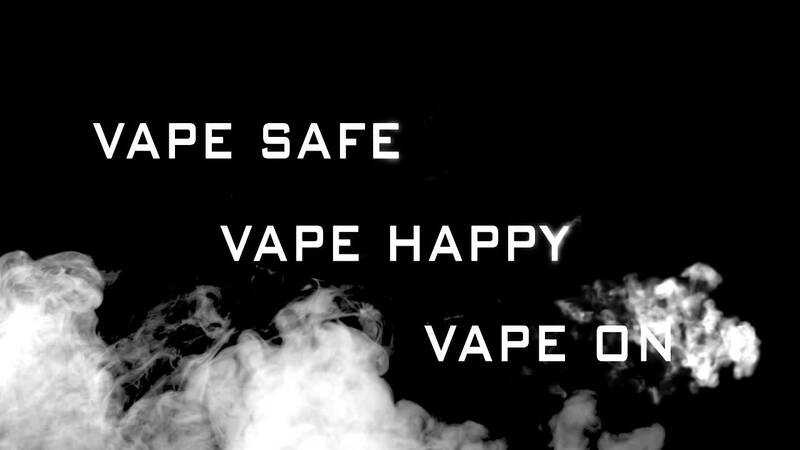 We don’t agree with how Rip Trippers came off in his video, but we do feel he was still trying to promote safety in the vaping community. Either way, this post is to help prevent dehydration when vaping. It can happen, so lets help prevent it! Below you will find 5 symptoms, and 5 ways to prevent dehydration. 1) Oh No… Oh No…. WHY IS MY URINE BROWN? If you notice that your urine is yellow or even brown, this is a big sign that your body is dehydrated. The darker your urine, the more dehydrated your body is. 2) Where Did All My Saliva Go? Another sign of dehydration is a dry mouth. The Propylene Glycol (PG) in your E-Liquid can cause your mouth to dry out very quickly. PG molecules are hygroscopic, which bond with water molecules. When you are vaping water is being drawn out of your saliva due to the PG in your E-Liquid. Not only is water being drawn out of your saliva, but also the surrounding tissue in your throat, mouth, and nose, which causes dry mouth. Are you feeling tired all the time? If you are this is another sign that your body may be dehydrated. Dehydration causes the body to become lethargic, which leads to you feeling tired. 4) Where The Heck Is My Eye Drops?? 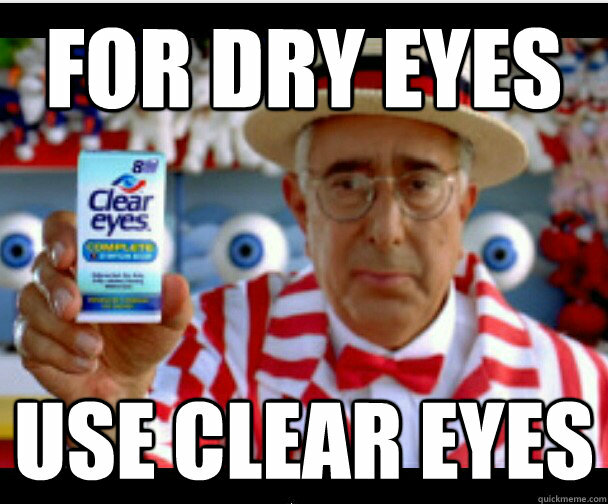 Dry eyes is another symptom for dehydration. If you notice that you eyes are dry and itchy all the time, you most likely are a victim of dehydration. 5) The Thirst Is So REAL! 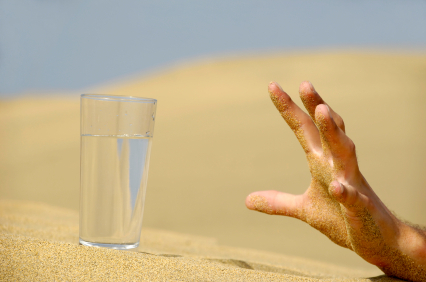 Thirst is one of the main signs of being dehydrated. If you notice that your body is constantly thirsty, then you should know that this is the body’s way of telling you that you are most likely dehydrated. Your body has lost a lot of water and is needing to be replenished. Great so now you know what signs to look out for when you are dehydrated… But what’s the solution to preventing everything above? Well you didn’t think we would just leave you with the issues of dehydration and no way to prevent it, did you? Here’s what you need to do to keep your body from being dehydrated! 1) Hopefully You Aren’t Allergic To Water…..
Water is the main solution to fixing dehydration. A lot of people know about the “eight 8-ounce glasses of water per day” rule when it comes to drinking water. BUT if you are vaping, we recommend you drink more than just 8 glasses of water per day, since vaping can cause dehydration. If you are wanting to keep hydrated we recommend you drink about half your body weight in ounces of water. For example… If you weigh 150lbs, you should drink about 75oz of water. Every human body is different, so be sure to listen to what your body is telling you. Don’t like water plain? No problem, add some fresh lemons, limes or cucumbers to spice it up a little! There’s also tons of calorie-free water flavor enhancers out there, such as Mio. 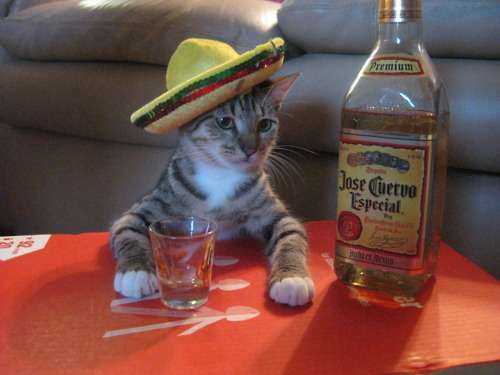 2) Slow It Down You Little Party Animal! Alcohol decreases the production of anti-diuretic hormones, which is used to reabsorb water in our bodies. With less of this hormone available, your body loses more fluid than normal through increased urination. Mixing alcohol and vaping will lead to dehydration real quick, so slow down on the alcoholic beverages if you are looking to prevent dehydration. One fun tip to prevent both hydration and hangovers it have to have one glass of water after each alcoholic beverage. 3) Stay Caffeinated My Friends…. NOT! Stay away from caffeinated beverages such as teas, colas, and coffee. These beverages are not recommended for optimal hydration. These types of fluids pull water from the body and promote dehydration. Yes – you can find foods out there that are high in water such as vegetables and fruits. You can find high levels of water in fruits such as Watermelon and Strawberries, which contain about 92% water per volume. A few other fruits high in water content are Grapefruit, Cantaloupe, Peaches, Pineapples, Cranberries, Raspberries, and Oranges. There are plenty of other fruits, but these are some that contain the most amount of water per volume. Above is a list of just a few vegetables that are rich in water. Some others that aren’t as rich, but still have water are eggplants, cauliflower, peppers, and spinach. Don’t like fruit or vegetables? Well I guess you are going to have to stick to pure water! 5) It May Be Time To Pull Back On The FULL Blast Of Flavory GOODNESS! Once again the PG in your E-Liquid is your main cause for dehydration. Another solution in preventing dehydration is to play around with your PG/VG ratios. If you are noticing that you are becoming dehydrated, you may want to pull back a little on the PG and do a higher blend of VG. It will definitely dilute the flavor a bit, but it will help prevent your body from becoming dehydrated. We know this isn’t everyone’s FAVORITE choice, but this article is all about preventing dehydration. Many things in our world today causes minor side effects. These side effects are nothing to be severely worried about, but should still be taken care of. Rip Trippers has always been a big name and face for the vaping industry, and his recent video definitely hit some vapers directly in the heart. BUT he didn’t mention anything new that we all didn’t know, but he could have definitely worded the video differently to make it sound like an attack on vaping. Just make sure to watch what you consume while vaping, and make sure that you are consuming as much water as possible! Water is and always will be your key to preventing dehydration. Hopefully this article was helpful, and you can continue to vape the way you always have, while avoiding dehydration. Have questions or notice that we are missing out on another way to prevent dehydration from vaping? Any tips that have helped you? Comment below and let us know, we always love to hear from fellow vapers! This entry was posted in Aspen Valley Vapes, General Vaping, Vaping Saftey, Vaping Tips. Bookmark the permalink. Good info, thank goodness I drink lots of water all day. Now THIS article is the best way to call attention to a minor side effect vapers can face- NOT the way Rip did! Thanks for the very informative, non-product pushing, report on this subject! Thanks for the great info ! I definitely need to pay closer attention to my water intake…terrible about that ! Loved the article. Very well presented article. Although a lot of this information should be common sense to most people, you did not once talk down to anybody. Also a very good way to present this information to the “Oh vaping is bad because the internet said so ” people. I vape 6mg about 5ml a day at never more than 30 watts. Now I have been vaping for 5 years, quitting cigarette’s the same day I got my first e-cigarette by the website Apollo. I love your article and approaching so called vaping side effects in the manner you have chosed is very respectable and shows that your a noble person brought up with good family values. With that said, I do disagree and 1 or 2 points, first dehydration is common amongst most of the population with rates reaching 60% on any given day. So to say vape is linked to dry mouth i have to wait to see more evidence and scientific data, I don’t rely upon word of mouth throughout the vaping community. Why? because I have a kidney disease and was diagnosed 2 years ago at the age of 44. I had to have emergency surgery (vaping in the ER the whole time by the way) Now I see a Urologist monthly for full blood work up, physical exam, KUD (basically chest x-ray) and Urine test. Now these are the opinion of my Doctor they are not necessarily mine and do not imply that his statement are definitevly accurate. First thing after surgery we sat down for a meeting and discussed the fact the I would have to make life choice changes if I wanted to live a long life. First thing he said to me was you are to drink 3 gallons of water daily, you should urinate at least 1 time every 30 minutes. Not to become negative because that’s not what this post is about but during RIP’s Paid advertisement for snake oil, he stated the drinking more than a gallon of water a day was unhealthy! So I wanted to let people know that is and never was true. I talked to him about dry mouth that I was experiencing, this was of course after beginning the 3 gallons of water a day, so I was not dehydrated according to my doctor as he reviewed my test results, the first thing he did was look at was the list of medications I take. And out of the 8 per month 4 of them cause dry mouth. So you and other members of this great community of vapors that I have come to enjoy new friendships with should also look at what medications you are taking, look up the side effects and see if dry mouth is listed. Now as far as the color of your urine. As I said earlier I take that test monthly and the color ranges from clear to dark brown on any given day, even though I am following my water diet. At my next appointment I went and asked my doctor why would my urine color fluctuate so much especially given that the only liquid that I am allowed to drink is water, nothing else. He reviewed my tests and said jeff it really isn’t that important the color of your urine, so many factors go into the color of your urine, it would be impossible to just pick one but after looking at your blood work I notice that one of markers was out of acceptable range that one month. So he attributed to that first and second stated again that your medications will effect the color of your urine, the food you eat, so on and so forth. I see 2 doctors 3 time monthly which include all the basic tests. Now this is me and my body, everyone’s body reacts differently and can be sensitive to items that i may have no sensitivity towards so there can be no sweeping generalations made by me as to why someone’s urine color is what it is. Or how much water you should drink daily. But I have yet to be diagnosed with thyroid disease(LOL). Do my hands and legs get “ashy” so to speak yes! my knuckles are dry, my elbows are dry, my legs are very dry a rashy, but Im not dehydrated and its not from vaping. Its because its winter time and the cold air negatively effects my body every winter with these same conditions. During the summer they go away. What message I would like every vapor to get from article sized response is that, there are 2 ways to vape, safely and dangerously. Now if you are a x-smoker who just needs a nicotine hit why would you need a device that puts out 200 watts and resistance levels down to 0.004. That isn’t us! That is not who we are? Is that how you want to be defined by public opinion if your identified as a vapor? The Big Clouds, the noise, the batteries explode (DARK SIDE OF VAPING) As members of habit we all enjoy and do not want to lose to FDA regulations that are this strict. Trust me, I believe we need to be regulated, do you know how your e-liquid was made? I Have heard horror stories of people selling homemade liquids out of garage on ebay or a website, that needs to stop! Why are we still receiving e-liquids without child proof caps and a warning about nicotine as well as possible harmfull additives? Regulate it! Why are companies selling devices upto 300-500 watts, some with 4 battery’s and then give a product review and don’t discuss the safest way to use the device! Regulate it! Ban any device that exceeds 100 watts and you probably could go lower. Me personally I never vape over 30 watts, and I can still blow clouds if I wanted to but I choose not to add it only gives more ammo to the powers that be whose goal is to protect the profits of big tobacco by giving them back the 10 million ex-smokers now vapors. All of us as a community must impress people who see us vaping that we can be responsible, don’t vape where you can’t smoke, that makes perfect sense to me and to non-vapors. I am a member of CASSA I have signed the petitions, sent letters to the governor when he once stated on a live tv show that nicotine causes cancer! I’m still wondering where he got that from, I participate so that those millions of people who have yet to take that scary leap to e-cigarettes will have that chance, and not let it be gone because the darkside vapors and they know who they are, the relish it. I once saw a kid he stated in the comment section of one of Mr. Rip trippers videos, that he was 15 and ready to start vaping because it looks cool and like a lot of fun, what should i start out with???? I hope everyone who is reading this understands the battle we are facing and making videos or writing blogs about vaping side effects and your not a clinical scientist who just completed research on the subject and you are publishing the results should not say that they know that because of vaping, right when I started my hair started to fall out! Maybe he may have male pattern baldness or maybe not but unless your qualified we should only suggest techniques, or suggest our opinions. But I am not nor any of the DARKSIDE vapors are clinical scientists who can speak educated on any given topic, by all means give your suggestions but please,please do not proclaim to now why someone you have never met is dealing with symptoms they may never had before. Finally if you read this whole thing, thank you so much and I hope I didn’t come off as cocky or talking down because I did not mean to, I simply believe that overall most vapors are unaware of the dangers that vapors create by themselves by not knowing best practices. 3 times last month in the news while the FDA is deeming regulations, e-cigarettes blew up and permanently disfigured them. Of course the media spins it that its the e-cigarette and they are all ticking time bombs, but the truth is that man never took a class, read a book, watched a video from Phil Busardo, or any friends who could explain to him the e-cigarettes do not blow up! Regulated devices its almost impossible so the fault is with the vapor not following proper resistance to amperage to wattage to tcr because its to hard to learn all that let me just build a .00000001 ohm coil at hit at 200 watts with 24 mg nic. BOOOOM!!!!! We all need to better coach’s and when we see a comment and reply that you know is the wrong information I personally believe you are obligated as member of this community to give the commenter the proper answer, especially any safety related comment. Thank you for your time, and vape safely and enjoy! I just love how certain people and the government jump all over something just because it’s not profiting them like they think it should… But you know what, drink this liquor or beer we’re advertising on TV but “Drink responsibly” or don’t they don’t care they’re making money hand over fist either way, a DWI costs the hell out of you and profits them, and a hangover is nothing but dehydration not to mention the liver problems and all the other terrible things that alcohol can cause don’t get me wrong I like to relax with a drink but. Anything we do in our lives is killing us from the day we’re born unfortunately, and almost every construction material and lots of ingredients in our food and drinks are ( known to the state of California to cause cancer) I see it everyday. The thing is I stopped smoking cigarettes after 15 years by starting vaping and after 4 years of vaping I feel a million times better than when I was smoking two packs a day. I can run now and workout without losing my breath. The thing is that I don’t Vape inside places where it may bother someone and yet when I’m outside people walk up to me and say “I’ve been hearing bad stuff about those electric cigarettes” while they have tobacco juice running down their cheek or about to hack a lung up. The thing is we Vape because we feel better than we did when we smoked. If we didn’t we’d still be smoking those expensive cigarettes. Thanks to anyone standing up to those who wish to change what we’re doing just because they either don’t understand or because they’re not profiting like they think they should. We all know if we pick at something hard enough we can always find side effects no matter if its drinking too much water or eating too much bread or red meat. Not to mention all the drugs their testing on us where at the end of the commercial they need an auctioneer to rattle off the side effects in time. Been vaping about a week and a half. The only health difference I notice is constantly urinating. I am not drinking any more water than normal. I am literally peeing 3-4 times as often. Not sure what gives? Been vaping about a week and a half. The only health difference I notice is constantly urinating. I am not drinking any more water than normal. I am literally peeing 3-4 times as often. Cannot find any legit information as to why this is occurring. Caffeine causing dehydration is a myth. Half of your body weight in ounces, so at 160 lbs,, 80 oz of water. ….or maybe just kill yourself instead, because life is so darn complicated. Can vaping stain yr younger?? 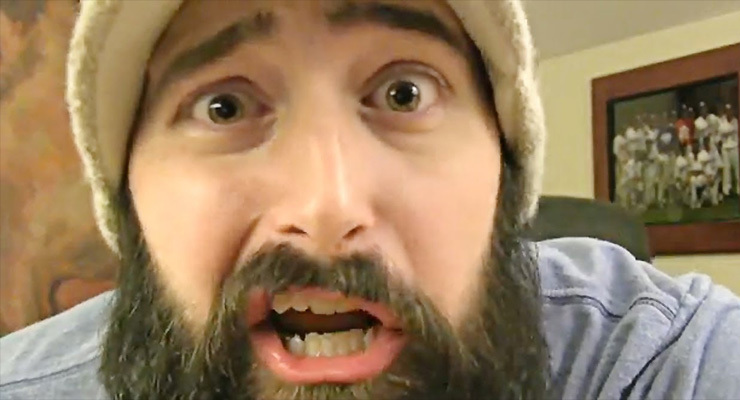 Yes, I vape and my younger has been stained for quite some time now… Hahahaha, what are you talking about?? ?